Half of Americans Don’t Know the First Amendment Freedoms! 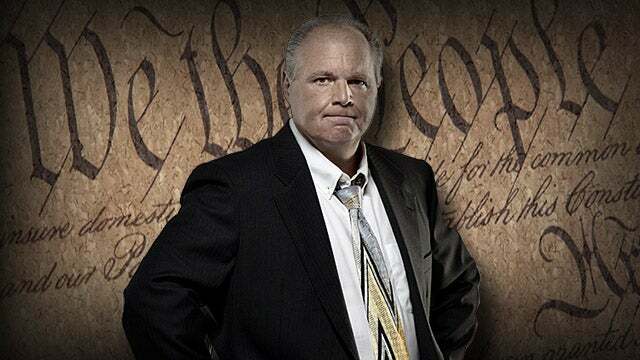 RUSH: This doesn't surprise me at all. Half of Americans don't know the freedoms in the First Amendment! Not the first 10, not the Bill of Rights. Half of Americans don't know the First Amendment freedoms. It's just... It's sad -- it is -- and I don't know for how long this has been the case. It's not new. All of this is a slow degradation. It's a slow deterioration in education that is just chipping away at the moral and political fabric and the foundation that has always kept the country together. It's always provided the elements of things that unified us, and those things are being whittled away. One in five are not familiar with the Bill of Rights. They don't even know what it is! Not the specifics, but they don't even know what it is! The Bill of Rights? One in five, 20%, don't have any idea even what the Bill of Rights is.